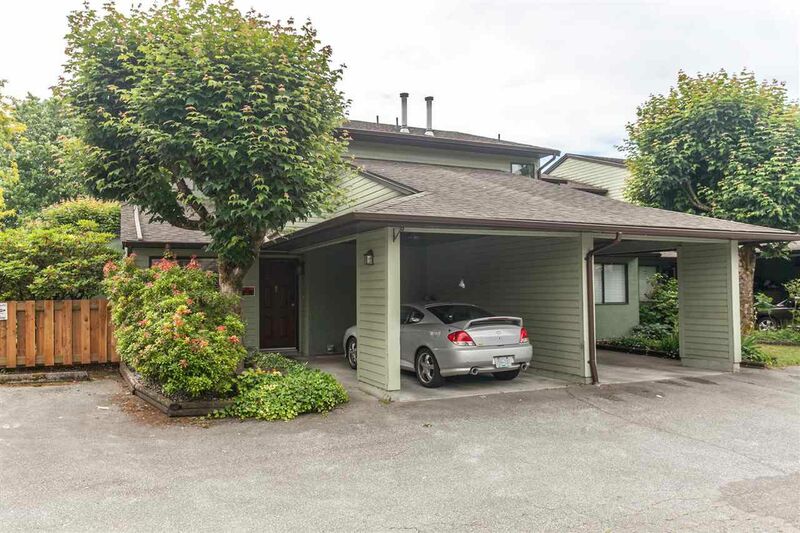 RARE END UNIT in WEST MAPLE RIDGE! This townhouse in the rarely available Thornberry Gate features a beautiful newly renovated kitchen complete with shaker cabinets, silestone counter tops, new tile backsplash, stainless steel appliances, a movable island and a large pantry. New paint and custom wainscotting throughout as well as updated bathrooms. Perfectly positioned at the end of the complex with access to a large common area. Natural light in abundance here with the extra windows, gives the feel of being in a detached home. Gas fireplace with a custom mantle, forced air heat, private backyard, detached garden shed, and the roof is 9 years old. Close to shopping/schools and transit to top it all off! Open House Sat June 18th 2-4 pm.